Now we’re beyond the “let’s make it go viral” nonsense, how do we measure the effectiveness of video marketing? First, we need to establish what your video marketing goals are. Is it lead generation? Do you have sales objectives? Maybe it’s brand awareness? What your goal is determines how you’ll measure and what metrics are the most critical to look at. Here are a four metrics that make sense to start with to measure your video campaign effectiveness. View count is not an effective metric. What counts as a view on Facebook is vastly different from what counts as a view on YouTube. What you need to look at is how long your audience watched your content. Is there a drop off point? Why? Was the content not relevant? Was the video too long? Can you make tweaks to keep them engaged longer? These are the types of things you can learn from looking at view time. After view time, the next statistic you want to look at is engagement. Particularly with social media platforms. Is the video getting likes, or more importantly, comments and shares? With nearly all social platforms, sharing is a critical metric to show how the video is resonating with your audience. So now that you’ve piqued the curiosity of the viewer, why leave them hanging? If you don’t ask, you don’t get. So, what is it you want them to do next? On your website you could direct them to a landing page with more info. Maybe have them sign up for a free demo or webinar to learn more. If it’s a social platform you should be directing them to whatever is the next logical step after that video. Maybe you direct them to a Facebook contest or another video on YouTube. It has to make sense though. If this is a top level video the viewer is likely not ready to make a purchasing decision. So make the call-to-action make sense. For more interested viewers, maybe you’re measuring what percentage of them then purchased? Sometimes conversions are micro conversions. Like getting them to share the video or comment on Facebook. Other times a conversion will to visit a unique landing page or potentially a done deal. Whatever the conversion is, it needs to make sense with where the viewer is watching it as part of your sales cycle. These metrics are just a start. There are other statistics outside of these that may be a better barometer for your video content. 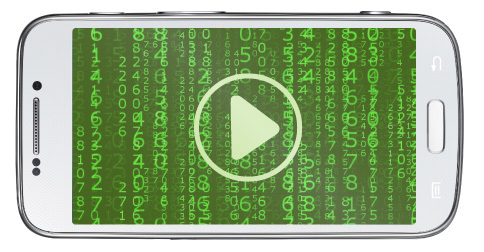 These will at least help you identify whether your videos are reaching the right audience. Beyond that you can see whether you are engaging them in the most effective way possible. What about your video marketing? Are you measuring and identifying opportunities for your video marketing?